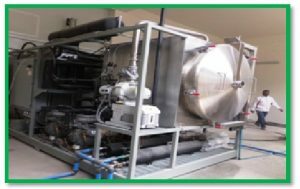 The food and agriculture organization (FAO) of the united nations and the European Union (EU) donate the first ever thermo-tolerant vaccine production technology (“Lyophiliser”) to Ethiopia’s National Veterinary Institute (NVI), the country’s single vaccine producing organization based in Bishoftu town. The new technology is believed to create the capacity of producing 50 million doses of thermo-tolerant (Peste des petis ruminant (PPR) vaccine per year. The technology is worth USD 818,030 (23,000,000 birr) and is produced by FAO’s PPR eradication project. The technology is installed in NVI head quarters and proper training is given to its experts. 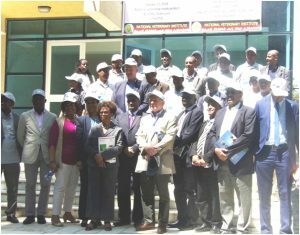 On the inaugural ceremony His Excellency Dr. Gebreegziabiher G/yohanis, state minister for Veterinary service and regulatory sector ,Ms Fatoma Seied, FAO – Ethiopia Representative EU-Ambassador and other distinguished guests were among attendants. Dr. Gebreegziabiher G/yohanis, state minister for Veterinary service and regulatory sector has given thanks for support to NVI by EU and FAO for the implementation of the PPR eradication campaign, In behalf of MoALF. She also expresses her sincere gratitude to EU share project in specific and FAO and EU in general for their excellent contribution towards the success of the Institute, NVI.